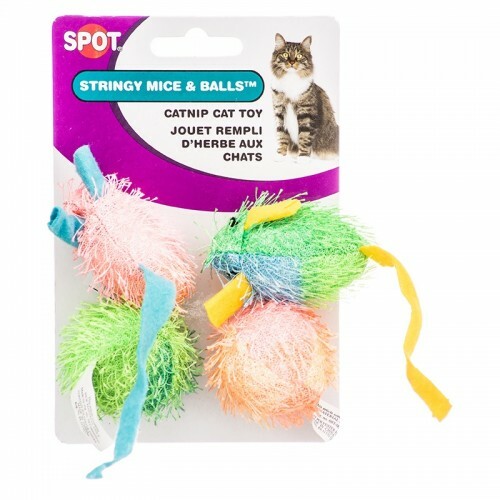 These two silly, stringy mice, along with the two stringy catnip balls will become your cats' all-time favorite play things as they stick to your cat's claws as they are swatted. Fun colors and tempting textures that kitties can’t resist! 4 pack includes two stringy mice and two stringy balls.